2012 UK Hardcourt Bike Polo Championships 30 June – 01 July | Birmingham Hardcourt Bike Polo, UK. 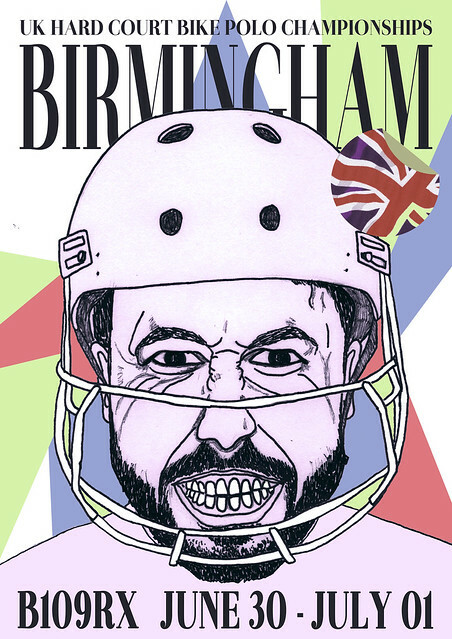 Birmingham Hardcourt Bike Polo Association is extremely excited to announce the 2012 UK Championships! That’s right, things are about to get serious. Very, very serious! Nah, we’re just kidding. Birmingham wouldn’t be Birmingham without the laughs, the heckles and spilling drinks all over the courts mid-match… ahem. After a winter lull and the loss of several of our finest players, we are back to fighting form and have been plotting secretly to take over the polo world. Black Stabbath made a victorious come back at the Bristol NS by being voted best up and coming team (they’re only three years old after all), the newly formed Birmingham Hardcourt Bike Polo Association have been getting super organised and we decided to step up and host the UK Champs. What’s that you say? The UK Champs? Hell yeah, BIRMINGHAM ARE HOSTING THE UK CHAMPS!!! What’s more, we’re going to make it the best UK Champs so far…with a Brummie twist of course. So register your teams interest, book your tickets and watch this space for frequent updates on scheduling, format and of course those ever elusive sponsors. 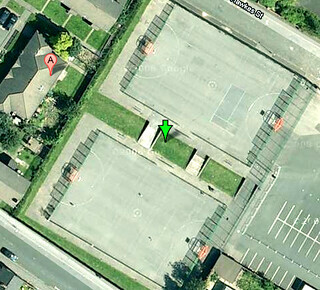 Taking place on the 30th June – 1st July 2012 on two adjacent outdoor boarded courts of 27x40m. The courts are located less than 2 miles from the city centre and are extremely accessible from the main Birmingham train stations via cycle route. They are of a similar surface to London’s Newington courts and fully enclosed with fenced off space for secure bicycle storage. We also have official consent from the land owners and the local council so there is no danger of the tournament being cancelled or re-arranged. The format will consist of Swiss Rounds (number to be confirmed) and a double elimination on the Sunday to determine a UK Champion. This is not a NS tournament, however, the rule set will be in line with the current NS regulations and a designated head referee will brief players on the Saturday morning. Teams must consist of at least two UK players (those predominantly playing within the UK polo community) and for clarity, please add player names when registering your teams interest. That’s all for now folks…we look forward to hosting a fantastic 2012 UK Champs! This entry was posted in Uncategorized and tagged 2012, bicycle polo, bike polo, birmingham, champs, hardcourt, polo, UK. Bookmark the permalink. Wouldn’t miss it guys, the Birmingham event’s always amazing! I have to admit I’m playing more bike polo than traditional these days. Do you find in your group that you have many folk with horse polo experience? I’ve been converting folks from my old club to bike polo for the past couple of years, but it’s a hard job sometimes, despite the fact it’s just soooo much faster and more fun.